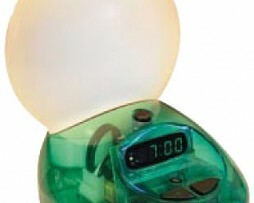 SunRise Clock Refurbished Color: Pearl White | BioBrite, Inc. This clock works just like a new one but may have minor cosmetic imperfections. 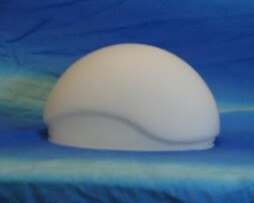 Function is tested to 100% okay and includes 1 Year warranty. 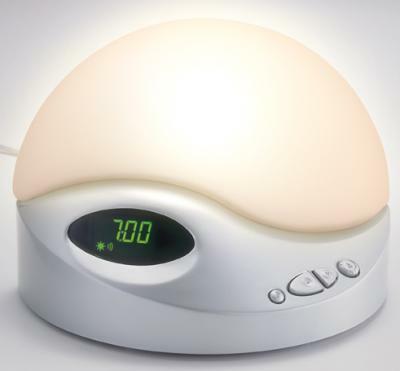 This SunRise alarm clock has four different built-in sleep sounds to help lull you to sleep. The Pearl also offers a number of programmable features, including the ability to set different dawn and dusk cycles over 15, 30, 60 and either 45 or 90 minutes. Button color may vary. 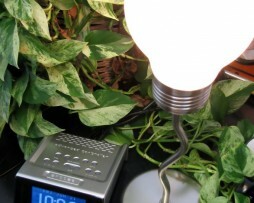 You can adjust the display brightness, use an automatic night light, “snooze” feature and more.